Too True, the latest offering from the Dum Dum Girls, features the Los Angeles-based quartet at their most relaxed. Following 2011’s dowright angsty Only in Dreams and the claustrophobic grit from 2010’s catchy debut I Will Be, Dee Dee Penny and company avoid rocking the boat. Despite an ample helping of the band’s signature dreamy melancholia (mostly in the album’s second half), Too True never threatens to veer off-course, maintaining a confident and assured “steady as she goes” approach. Quite open about the influences she proudly wears on her sleeve, Too True finds Penny sifting through the remains of Suede, the Stone Roses, and the Jesus and Mary Chain, while briefly reanimating Pat Benatar for the album’s second single, the grandiose “Rimbaud Eyes”. For these reasons, the album promises to be a real winner for pre-existing fans of the Dum Dum Girls. However, those hoping the band will embrace an exciting new direction for their third full-length release will find Too True almost maddeningly slight. With the help of Too True's tight thirty-minute run-time, the Dum Dum Girls are able to create a brisk, exciting pace at all costs. While commendable, this approach is occasionally to their own detriment as the pacing here can sometimes feel so aerodynamic and poppy that the listener may find themselves anticipating the next song before it even arrives (in particular, “Are You Okay” and “In the Wake of You” could have benefited from a little more room to breathe). Meanwhile, Penny’s songwriting maintains a powerful and reliable freshness that practically dares the listener to not pay attention (“Cult of Love”, “Evil Blooms”, Trouble is My Name” are some of the album’s most memorable moments)- she is a real-deal talent, selling these songs to the listener better than the songs sell the album itself. 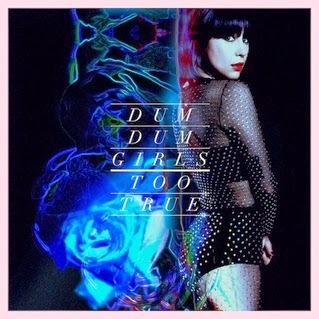 Yet as the final track fades out into oblivion, it becomes apparent the Dum Dum Girls seem the most comfortable when breathing new life into recycled ideas. And while they’re damn good at it, one hopes that the band’s next release rises above the delicious, imminently listenable, ultimately weightless pop pastiche that is Too True.